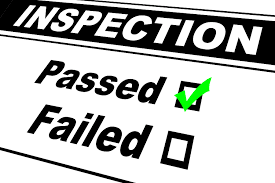 To establish and maintain documented procedures for final inspection in order to verify that the specified requirements for the product are met. This section applies to the product being produced in the factory. Checking by the quality checker after ratio packing in the master cartoon as per AQL requirement and making report. To make recheck if the consignment fails AQL requirement. After final quality checking, quality passed products are kept in a restricted confined area called finished goods warehouse. Over and above, in many instances checking is also done by buyer’s representative. Sometimes by the third party as suggested by the Buyer. All the above checking are carried out on the basis of approved reference sample. Besides that on the basis of the quality report preventive/corrective actions are initiated by the quality dept. They also check the processing parameters such as time, temperature and pressure on daily basis. Here maintain some documents to finalize the product.